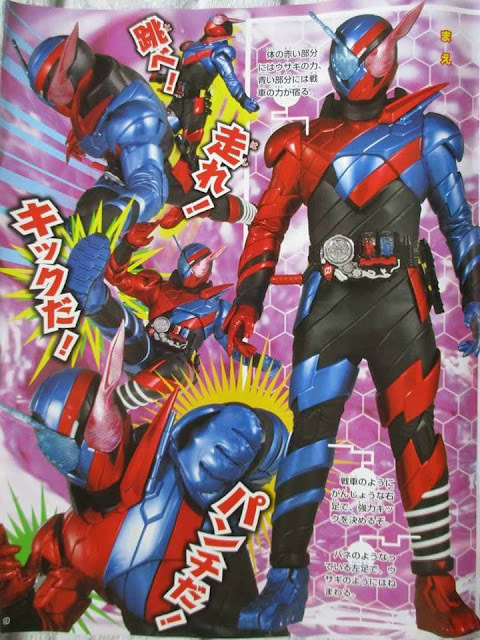 Kamen Rider Build - Introducing The Newest Rider Hero! 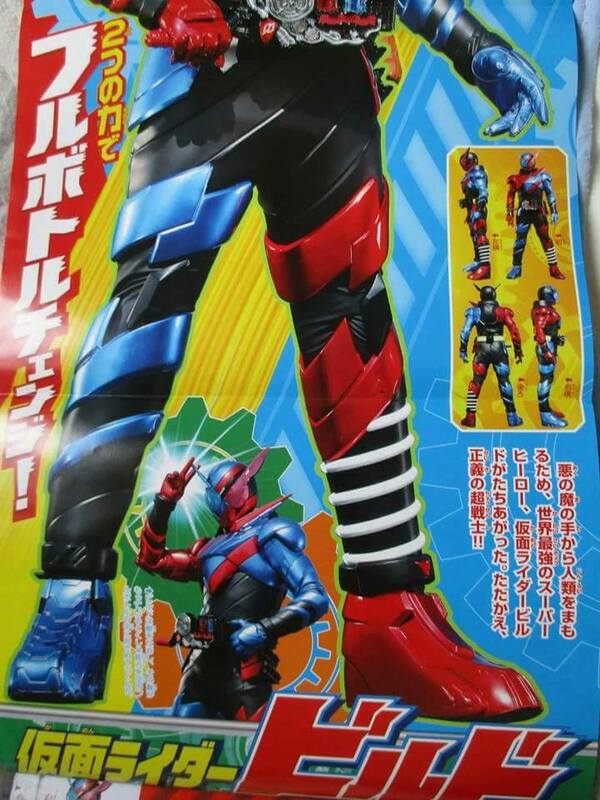 Are you ready to change the laws of victory? Well, Check-out these huge batch of Kamen Rider Build magazine scans which introduces us to the next hero of justice! 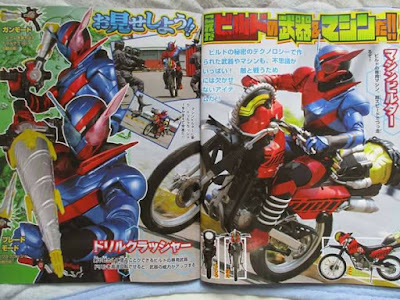 To counter the threat of the SMASH after the Pandoras Box was opened, a young physicist will transform into a motorbike riding armored hero called Kamen Rider Build. 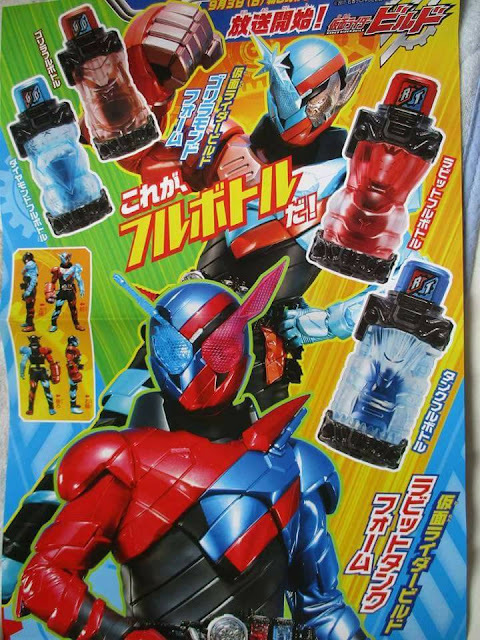 His default form is called Kamen Rider Build RabbitTank a.k.a. the "Moonsault of Steel". To transform into Kamen Rider Build, the said young physicist (identity is still unknown) will use an experimental transformation belt called the Build Driver by inserting the Full Bottles, which is the Rabbit and Tank Full Bottles. Each combination of said bottles are called Best Matches. 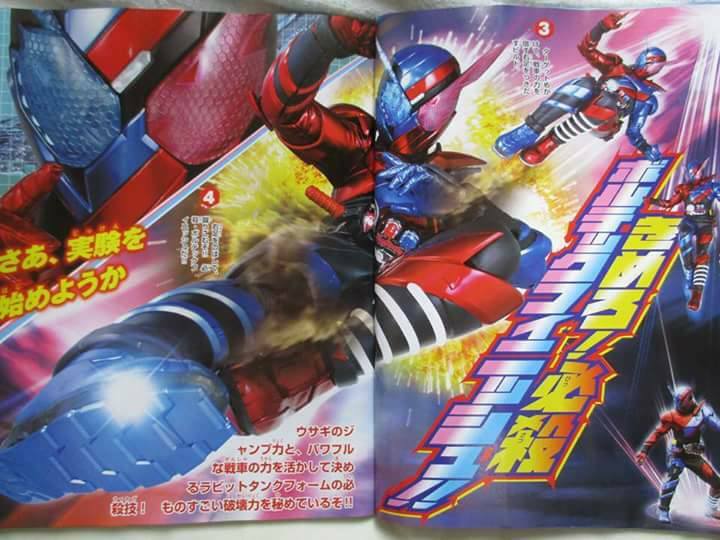 Kamen Rider Build is armed with the Drill Crusher, a weapon that has two modes suited for range and melee attacks. 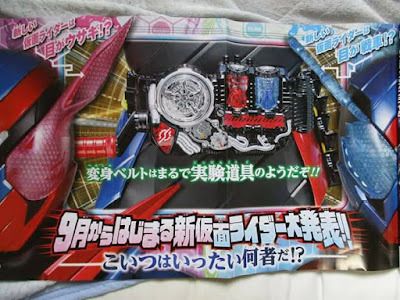 and his means of transportation comes from a phone that transforms into a motorbike called Machine Builder! 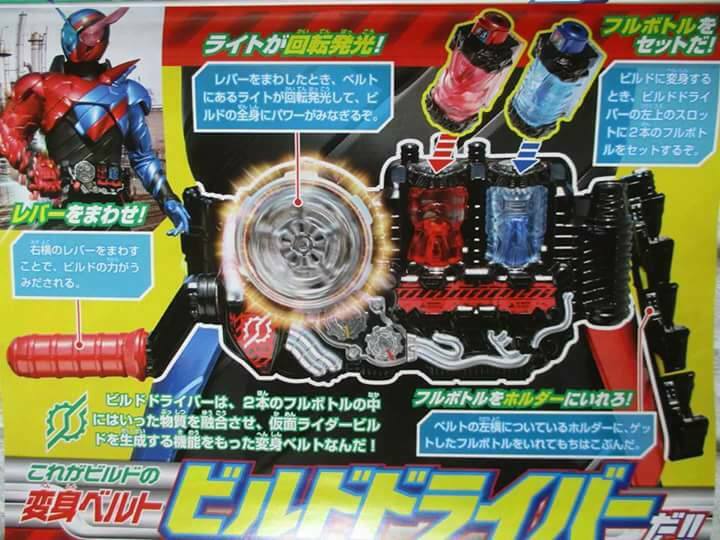 To end the threat of a SMASH monsters, Kamen Rider Build will unleash his finisher called the Vortex Finish! 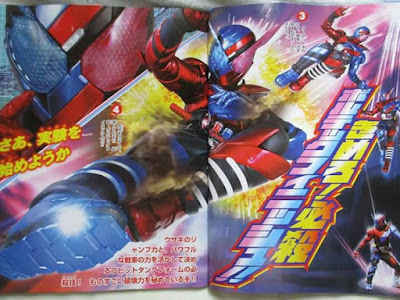 The spring on his left leg will allow him to jump at high distances while his right leg will do the final touches of the finishing move! 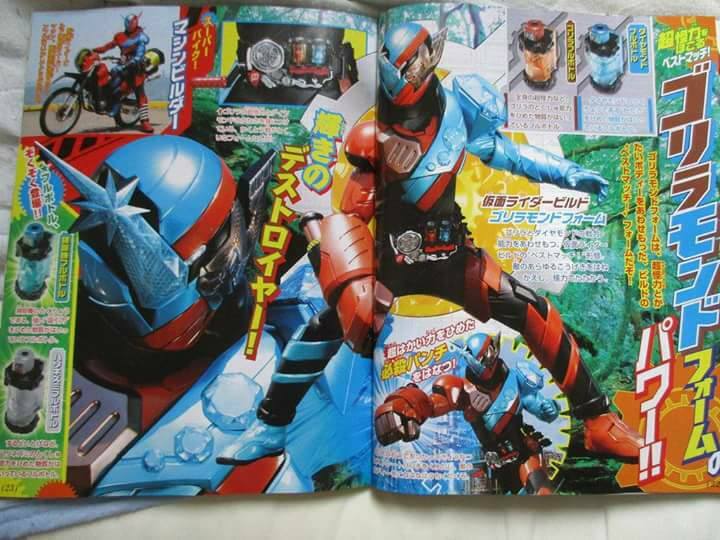 His second Best Match combo that he will also unleash in the upcoming Kamen Rider EX-AID movie against Kamen Rider Para-DX is called Kamen Rider Build GorillaMond form, the "Sparkling Destroyer" which uses the power of the Diamond and Gorilla Full Bottles. 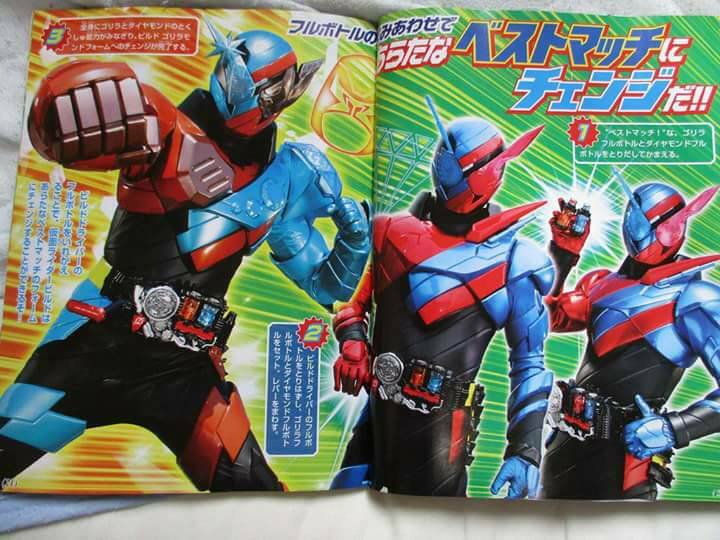 Kamen Rider Build will premiere in September 3, 2017 replacing Kamen Rider EX-AID in the super hero time program. Cast will be announced in the upcoming press conference on August 2nd. 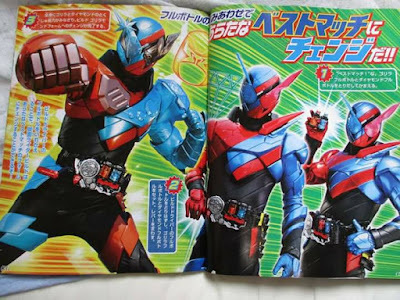 ... physicist. 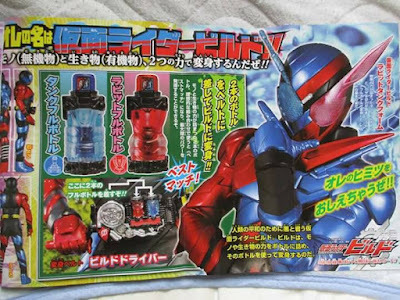 Why didn't I think of that??? 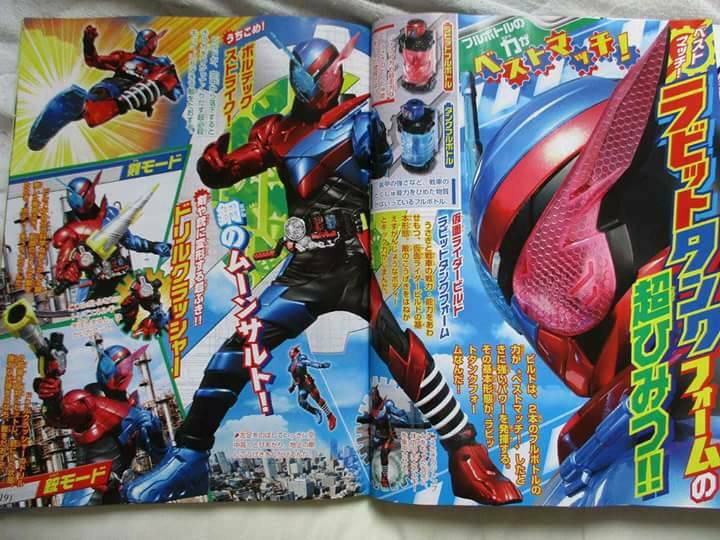 Kamen Rider is the best!